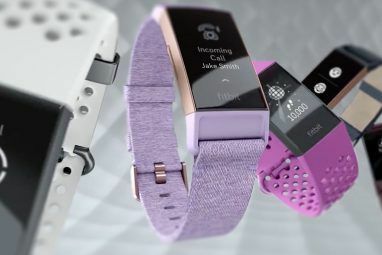 If there’s one thing there isn’t a shortage of, it’s smartwatches and fitness trackers. You can get ultra high-end devices that cost over $500. You can get entry-level options for less than $100. There are watches and trackers at every price in the middle, too. 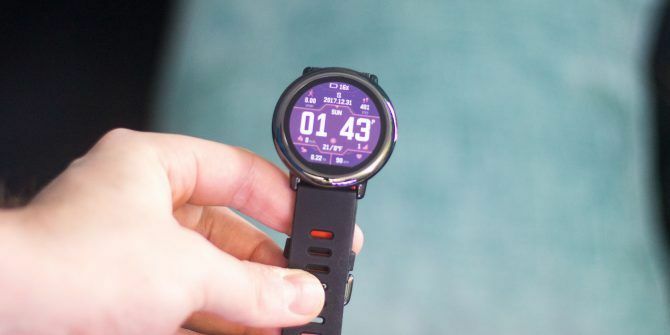 Today, we’re going to look at a very affordable smartwatch with a very fitness-focused feature set in the Amazfit Pace. It retails for around $140 from GearBest, which puts it right in that entry-level price point. 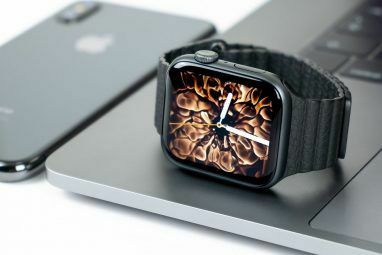 However, its suite of features rivals watches that cost quite a bit more. There aren’t many watches in the same price range, with most either falling under $100 and lacking features, or coming in at closer to $200. The closest, both in price and feature-set is the Sony Smartwatch 3, which comes with a $130 MSRP. However, the Sony watch doesn’t come with heart rate monitoring, so that’s definitely something to keep in mind. The Xiaomi Amazfit Pace makes a strong first impression with nice packaging and a watch face that doesn’t stand out too much. 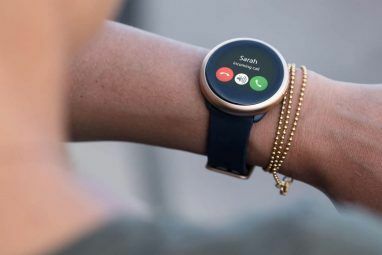 It’s perfect for someone who wants the connected features of a smartwatch with the rectangular face we tend to see on most models. Everything you need to use the device is in the box. First, there’s the watch itself with the sports band attached. There’s also the micro USB cable, and the dock for connecting the watch to the charger. There’s no power brick included, so you’ll need to use an existing one or charge from your computer. Pairing the watch to a phone is incredibly easy. For testing, I used my iPhone 7S Plus. Even though it’s an Android-based OS (not Android Wear, however), it interfaces with my phone quite well. The watch will guide you through the process, which includes scanning a QR code to link the phone and watch. Xiaomi went with a round watch face, which is a bold choice when most of the other watches out there are square or rectangular. It’s a good look, though. Most people I showed the watch to didn’t even realize I was wearing a smartwatch. If you’re the kind of person who wants everyone to see your Apple Watch or other more in-your-face device and know right away what you’re wearing, this might not be for you. If you just want a similar feature set with a lowkey design, then you should really like the Pace. The band that comes with the Pace is of the adjustable silicone variety. I found it quite comfortable, and the adjustable nature means it’ll fit just about any sized wrist. As for colors, the watch itself is mostly black, and the band is black with orange accents. It’s quite nice looking, but some users might find the orange to be a little too bright for their tastes. Thankfully, it comes with a standard 22mm strap, so you can replace it with another band. There’s only one physical button on the Amazfit, and it’s used for power and waking it up from sleep. You can also turn on an option that allows you to wake the device up by double-tapping the touch screen. This will make it so you almost never need to use the tiny button. The watch face itself is 1.34 inches (3.4cm), making it large enough to read comfortably, but small enough to let it maintain that more traditional watch style. It comes with a resolution of 320 x 300, so text and the interface elements both appear sharp enough. The Pace comes with a transflective display. You can freely use it while out in the sun without worrying about glare. This is obviously beneficial for a watch that’s designed to use while running. On the back of the watch you’ll find the two green lights that serve as the heart rate monitor and four gold contacts that are used for docking the watch and charging it. All in all, the Amazfit Pace is a very nice looking device from a design perspective. The watch face is big enough to look natural on larger wrists, but not so big a to overpower a smaller one. Let’s dig into the part that makes it smart — the features. For a watch in this price range, it does quite a bit more than you’d expect. Its feature set includes a heart rate monitor, step tracker, sleep monitoring, GPS tracker, music control, notifications from your phone, and more. The main feature you don’t usually see from cheaper smartwatches and fitness trackers is a heart rate monitor. The truth is that heart rate monitoring from a wrist based device is notoriously difficult, and should not be relied upon for accurate readings. However it still gives you a relative idea of your heart rate compared to what it would normally be. In my testing, it always showed a lower heart rate while resting. My resting rate tended to fall between 65 and 75. While playing hockey, my heart rate was consistently over 100, which is where it should be. In an even more nuanced test, I took my heart rate right as a flight was taking off, and it read in the high 80s. This makes sense as I do tend to get a little stressed when it comes to flying. One of my favorite features is the ability to control music and podcasts from the watch. Even with an iPhone on an Android-based watch, the feature worked flawlessly. It’s a nice convenience not having to pull your phone out of your pocket to change songs, pause the music, or adjust the volume. I’m forced to question the overall accuracy of the sleep tracking, however. It did get the time I went to sleep and the time I got up right, but the data in the middle seems questionable. At least two nights I woke up in the middle of the night to use the restroom. However, the data the next day said I spent zero minutes awake. Not only was I awake, I walked 20 feet and back to get to my bathroom. The other major features work well. The step tracker was accurate for about how much I walk each day (spoilers: my lifestyle is too sedentary). If you work a desk job, you might like the feature that alerts you when you’ve been sitting too long. Personally, I tend to get lost working sometimes. Next thing I know four hours have passed. With this, I get a little vibration letting me know I should stretch my legs. And if that sounds annoying to you, don’t worry, you can turn it off! There are 21 different watch faces to choose from, and many of them are quite different. You’ll find some minimalist designs with just the time, and more in-depth faces that tell you your recent heart rate, steps, battery level, and lots more information. Many of the faces come in different colors, so you can tweak the look of the watch. This smartwatch leans more on the fitness tracking side than the watch side of things. As such, we need to really dig in and have a look at the fitness tracking features on their own. To access the fitness menu, you simply swipe left from the main watch face and choose the activity. Right now, the activities are mostly focused around running and biking, so if you’re doing something not on the list, you’ll need to choose the closest thing (for hockey, I choose elliptical, as it seemed like the closest). Once you start an activity, you’ll get continuous heart rate monitoring and plenty of data points. You can see distance ran (with GPS, if you enable it), calories burned, time, and so on. Just about everything you need to know is covered here. When you open the Amazfit app on your phone, you can sync data from your workouts and get a better idea of how you did. There are even basic workout plans that’ll remind you when you need to get out there and exercise. This is a cool feature for anyone who needs a little direction and a reminder that it’s time to get to work. I’m happy with the features offered for fitness tracking, but I do wish it had more activities. Still, that’s something you can definitely work around, especially when you consider how much more you’ll save going with this device over something like an Apple Watch, Fitbit Ionic, or Garmin. Now, that we’ve talked about what the watch can actually do, we need to look at what it’s like living with the Amazfit Pace on a daily basis. While not perfect, I’m quite happy with the watch. I used it every single day for two weeks, and aside from a couple small gripes, it did exactly what I wanted it to. After wearing the watch all day (including to sleep), I must say that it is very comfortable. Not only that, but it looks quite stylish regardless of the setting. It’s also very light, so most of the time I forgot it was even there. As mentioned before, I’m not so sure how accurate the sleep tracking is, but it’s still nice to get a general idea of how many hours I slept the night before. Speaking of sleeping, I’m a bit of a deep sleeper, so the alarm wasn’t sufficient to wake me up. I need a loud siren to pull myself up, and a light vibration on the wrist just didn’t cut it for me. Your mileage may vary there, but I’d definitely recommend setting a backup alarm for the first night just until you’re sure whether or not the Amazfit is loud enough. Now we come to the big thing — battery life. In my testing, I found that I got about two days of life with the heart rate tracking set to continuous mode. With that off, I was able to get closer to six days, which is quite solid. Again, while not without a few flaws, using the watch for an extended period of time just affirmed what I already thought — this is a really good device for the price. Should You Buy the Amazfit Pace? Okay, so we’ve come to big question: should you spend your hard-earned money on the Amazfit Pace? If you’re on a budget and not looking to drop upwards of $400 on a more recognizable brand, then you should absolutely buy the Pace. It has all the features you could expect from a smartwatch with a tiny price. Not only that, but it looks good and is comfortable. Have you tried out the Amazfit Pace or do you have an alternative budget smartwatch you’d like to recommend? Share in the comments! Explore more about: Smartwatch, Xiaomi. Who is the winner for the giveaway? Does it / can it sync to Strava? Sadly the watch is only 'waterproof' to 1 metre / 30 minutes or 'wear in the shower but don't swim with it'. Deal breaker, or I'd have got it. Sticking with Pebble Time Steel still (may even risk getting another one despite lack of warranty since FitBit purchased them, darn it!) They're that good - although functionality different to Xiaomi, admittedly, even if price similar. Were you able to track your pace while running? Do all the other “brand-name” trackers use the Android OS? How often do you need to charge this watch?